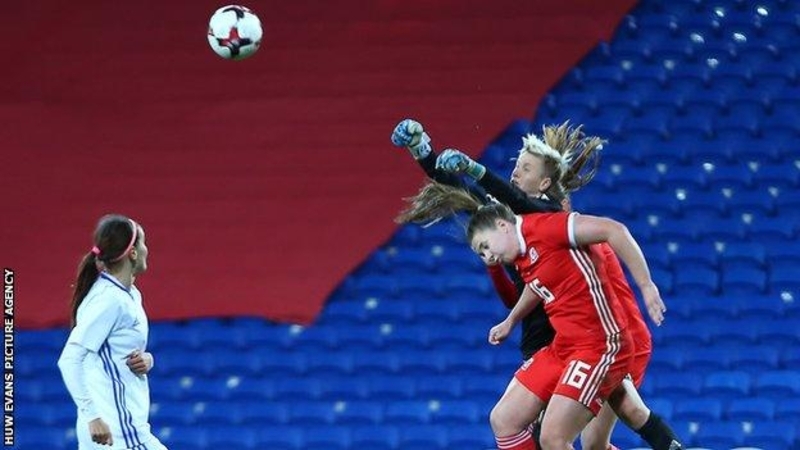 AKIPRESS.COM - Hayley Ladd's late free-kick gave Wales victory in what had threatened to be a frustrating night against Kazakhstan in their 2019 Women's World Cup qualifier. The visitors packed their defence and Jayne Ludlow's side were restricted to largely long-range first-half efforts. After the break, Natasha Harding was just wide with three chances in Cardiff while Angharad James hit the post. But Kazakh goalkeeper Oksana Zheleznyak misread Ladd's free-kick from wide on the left and it curled into the corner. It was harsh on Zheleznyak, who had to that point been outstanding in dealing with the numerous crosses and free-kicks that had come her way as a result of Kazakhstan being frequently penalised for their physical approach. Wales remain top of Group 1 having drawn in Russia and completed home and away wins over Kazakhstan, BBC reported.